You know what, there has got to be an easier, and cheaper way of hanging out with dinosaurs. Maybe we can go to the museum. But, they don't move in museums. Don't get us wrong that’s cool and all, but not really what we are looking for. Or, we can watch The Land Before Time. But, we don’t really want to be sad for Little Foot. Maybe we don’t want to hang out with a dinosaur, perhaps we'd rather be one. If that is how you feel as well, we have just the thing to make your dino dreams come true. 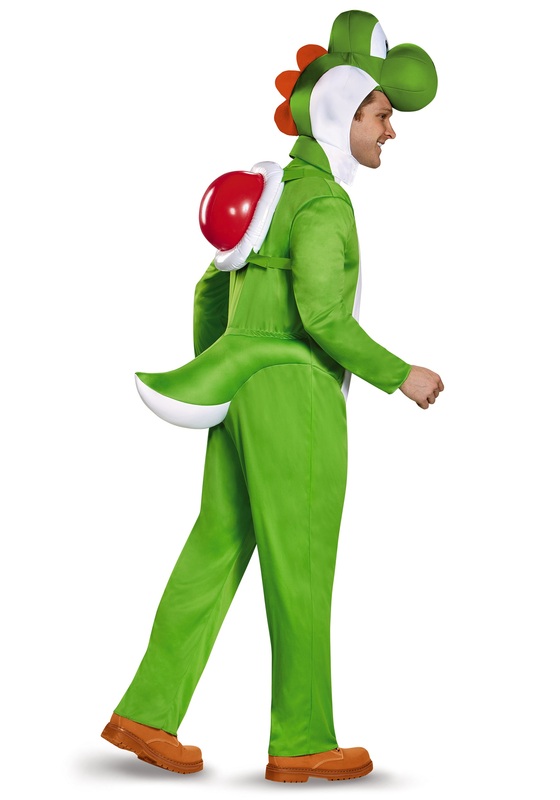 A Deluxe Adult Yoshi Costume. With this costume you can be even better than a velociraptor created in InGen labs. 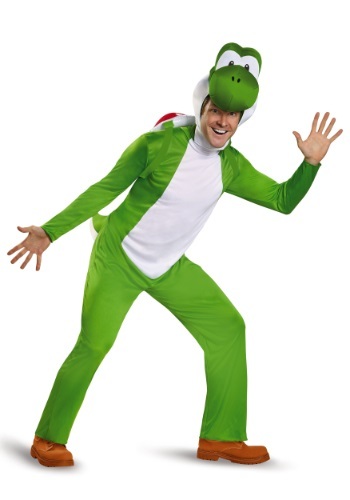 You will get to be Yoshi! The coolest dinosaur to ever save the Mushroom Kingdom. Heck, the coolest one we have ever seen. You will be able to throw turtle shells to knock your competitors out of the way. Just don't fall off any ledges, you wont have Lakitu to save you from going splat.